These free word search games are a fun way to introduce students to vocabulary related to black history and the African-American civil rights movement. These puzzles vary in difficulty from fairly easy to challenging. Some of these games can be played online, others are printable worksheets that are geared toward classroom use. For classroom solving, there are a variety of printer-friendly word search games listed by difficulty level from very easy to challenging. Black History Month word search printables: A well-rounded repository for word searches, crosswords, quizzes, and more all related to black history. Harriet Tubman word search: 18 words related to the African-American abolitionist are hidden in this word search game of medium difficulty. Slavery word search: 21 words related to the institution of slavery in the United States are hidden in this word search puzzle of medium difficulty. Black History Month word search: 36 words associated with black history in the U.S. need to be found in this word game for elementary level students and adults. Looking for a fun educational activity to help reinforce students' knowledge of African-American history? These easy to challenging crossword puzzles are a fun way to learn new words, practice their spelling as well as brush up on important historical facts. For an enjoyable learning activity, parents and educators can print out these puzzles for solving off-line. The puzzles are listed in order of difficulty from easy to challenging. Black History Month inspiring quotes: 10 inspiring quotes to tie to famous African-Americans are clued in this printable crossword game. 100s of crosswords: Hundreds of crossword puzzles to choose from including different countries in Africa to notable figures, Black History Month is covered from all angles. Notable African-Americans crossword: Test your knowledge of notable African-Americans with this crossword puzzle featuring the full names of 19 prominent contributors to American culture and progress. The solution to the puzzle appears on the bottom of the worksheet. Black History Month crossword: From The New York Times Learning Network, a themed, American-style crossword featuring clues related to black civil rights leaders, artists, and other famous African-Americans. Best suited for elementary level students and adults. Play it online or print and solve on paper. The solution for this crossword is provided. For those who enjoy jumbled letter games, take a look at this Black History Month word scramble. In the printable word game, the aim is to unscramble the letters to form words related to African-American history. This word puzzle is similar to a crossword puzzle in that you need to work out the clues to solve the puzzle, but the words in the Black History Month word spiral form a spiral from the outside towards the center. Test your knowledge of black history in the United States with these online quiz games. These games are best suited to older children and adults. Internet African American history challenge: This online quiz features questions about notable African-Americans and their role in the history of the U.S. It has three difficulty levels with seven to ten questions each. African-American History Month quiz: This interactive quiz poses seven questions pertaining to black history. You can play more than once because the questions are different every time you play. 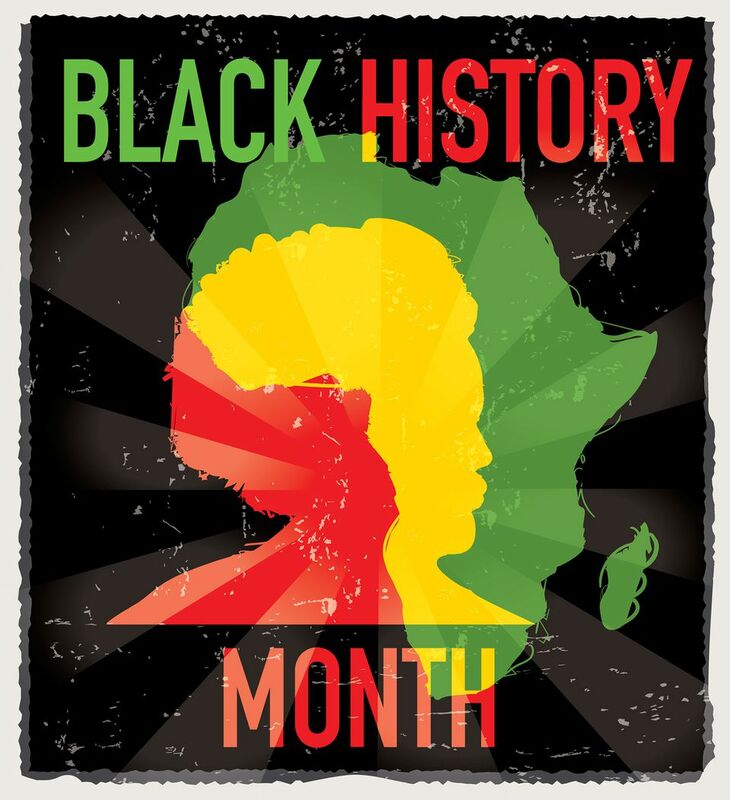 Black History Month quizzes: From the folks at Infoplease, these are interactive quizzes with themes related to famous African-Americans in sports, entertainment and history, civil rights issues, and historical and cultural events rich in African-Americans culture. There are multiple levels for children as well as adults.